Building a new home or renovating an existing one? We show you how to #SonosYourHome using a combination of in-ceiling speakers and wireless Sonos smart speakers to create the perfect audio solution. If you're completing work on your house, whether that's an extension, renovation or moving into a new home entirely, there's no better time than now to consider adding ceiling speakers. Today, I'm going to show you how using ceiling speakers with the Sonos Amp offers the most practical and user-friendly solution on the market to date! Why use ceiling speakers with Sonos? The most common audio setups are standalone, meaning you would have a different audio player in each room, but none of your rooms would be interconnected or linked together which doesn’t offer a particularly fluid user experience. This differentiates Sonos from other audio brands. 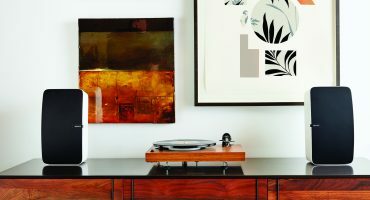 Sonos makes multi-room audio not only possible but also extremely enjoyable and painless to use. This is because all of your speakers, whether they are ceiling speakers powered by the Sonos Amp or standalone Sonos speakers, are visible in a single, central place being the Sonos app on your phone/tablet or PC. 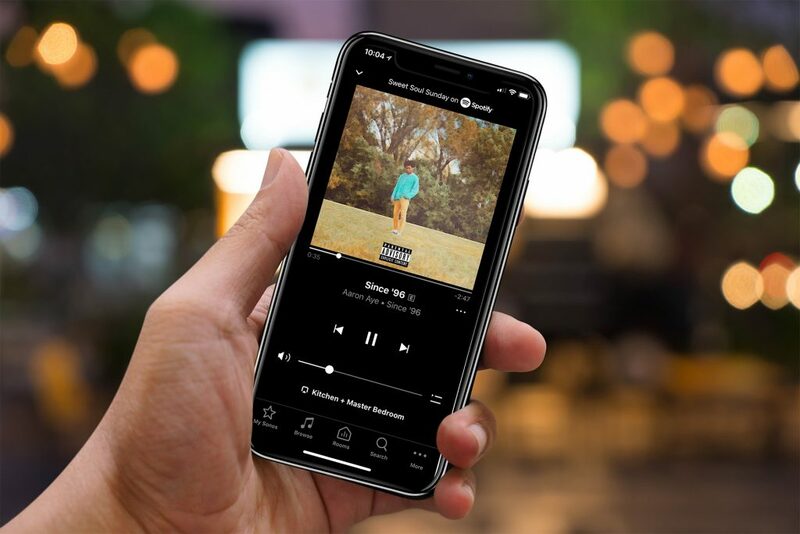 The Sonos app offers unrivalled flexibility by supporting over 66 music streaming services in the UK, not just a small handful, including Spotify, Apple Music, Amazon Music and many more. 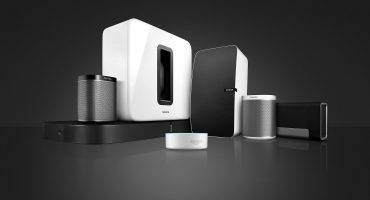 Because all Sonos products connect to your WiFi network wirelessly, you can group music to each room or select different music in different rooms through the tap of a button or more recently, the utterance of a voice command. What are the Benefits of Ceiling Speakers? The main benefits of having ceiling speakers over traditional speakers are that firstly, ceiling speakers are major space savers. By being flush in the ceiling, they occupy virtually no space on the ceiling, walls or cabinet shelves. This has the dual benefit of being ideal for families as youngsters are not able to reach or trip over them. 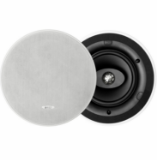 Don’t be fooled by their small size either - ceiling speakers offer deceptively good sound quality too. Ceiling speakers once installed emanates neatness and tidiness, appealing to those of you who prefer more subtle and aesthetic-looking audio as opposed to speakers with an unattractive boxy shape. There will also be no trailing wires as all speaker cable will be tucked away behind the wall, out of sight. 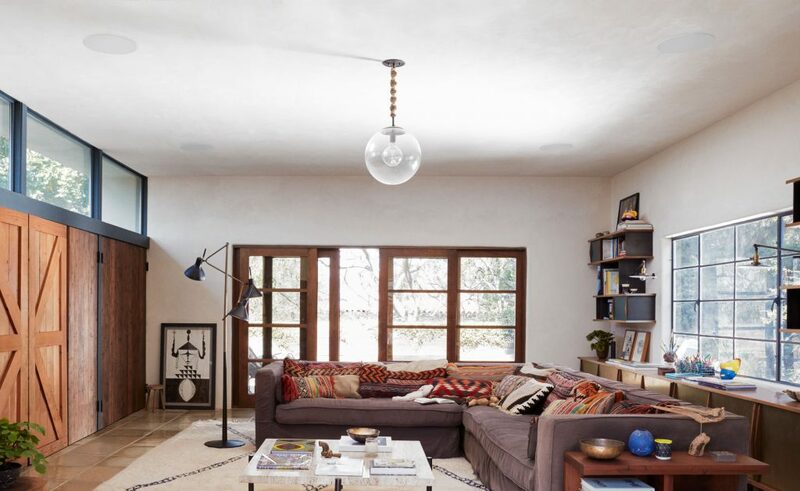 If you’d like to read more about why ceiling speakers are ideal with Sonos and how to choose the perfect ceiling speaker for each of your rooms, we have a dedicated blog on this topic here. All ceiling speakers must be powered by a separate amplifier which is wired with speaker cable to each speaker from the amp. If you want the ability to have wireless music control that is independent of each room, you should go for the Sonos Amp. This compact little box, released in February 2019 is a mini powerhouse and can power up to three pairs of ceiling speakers. Each Amp is assigned a room name as part of initial set up, so you are aware which room you currently have control of. You should also consider which rooms you’d like the freedom to select different music and volume control to other rooms as this will determine how many Amps you will need. To give you an example, for a bedroom and adjoining ensuite it is unlikely you’ll want different music in these two rooms, and so the speakers in these rooms can run off a single Amp. However, this might not be the case with two separate bedrooms at opposite ends of the house, and so here you would need two Amps. Please take a look at the diagram further down the page which will explain how the Amp and ceiling speakers are wired to each other. If there will be multiple Amps in the home, the most practical and future-proof way of storing them would be in a central storage room or cupboard. They can be hidden out of sight and can be kept on a secure rack wired with CAT 5 or 6 cable directly to the router. However, it’s essential they are still easily accessible for health and safety reasons and if you need to add or change anything here. Can I add a Subwoofer to the Sonos Amp? Yes, you can connect a powered Subwoofer of your choice to the Subwoofer Out on the back of the Sonos Amp. You may want to run a Subwoofer wire from where the Amp is being stored to any room it is likely you’ll want some deeper bass. Alternatively, you could use the Sonos Sub which has the added benefit of being wireless and contains all the bass you could need. 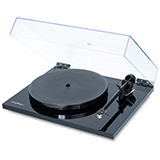 You would just power it with mains power and will pair wirelessly with any Amp zone. 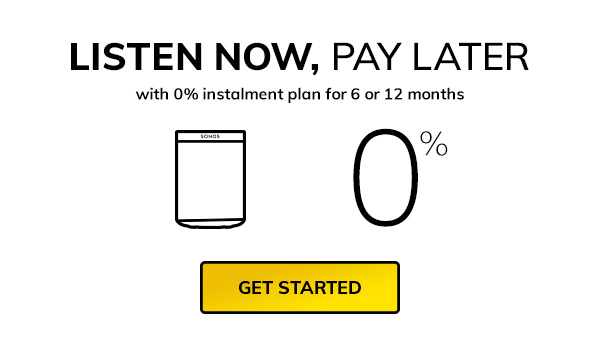 Related article: Is the Sonos Sub worth it? Each ceiling speaker requires its own speaker cable running back to the Sonos Amp. If you are installing a left and right stereo pair, only 1 cable is required to each cable. If you are installing a single stereo ceiling speaker i.e. a single speaker in a room, 2 cables are required to the single speaker (unless you are using 4 core speaker cable, in which case only 1 cable run is required). To wire more than 1 pair of ceiling speakers to the Amp, simply double or triple up the cable to each binding post. In addition to the Amp, Sonos also have a brilliant range of standalone wireless smart speakers that work in unison with the rest of your home audio set up all controlled from the easy-to-use Sonos app. Choose the Sonos One for smaller rooms or the Sonos PLAY:5 for larger spaces. 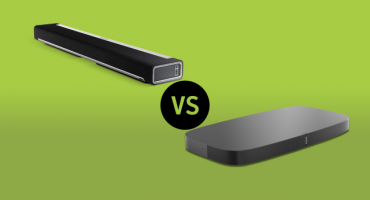 Either way, Sonos has a smart wireless speaker to fit your requirements. To add or extend your system with a Sonos smart speaker, simply connect them to mains power and easily set them up using the Sonos app on any of your devices. Assign them a room name and add wirelessly to your existing Sonos network. Always liked the idea of a home surround system with no trailing speaker wires? The Sonos PLAYBAR linked with the soul-shaking SUB and pair of PLAY speakers creates an award-winning wireless surround sound system that links seamlessly with both standalone Sonos speakers and any ceiling speakers powered by a Sonos Amp. This is why the Sonos Home Cinema works so well as it appears in the Sonos app, the same place you’ll find the ceiling speaker zones and any Sonos wireless speaker you have in your system. 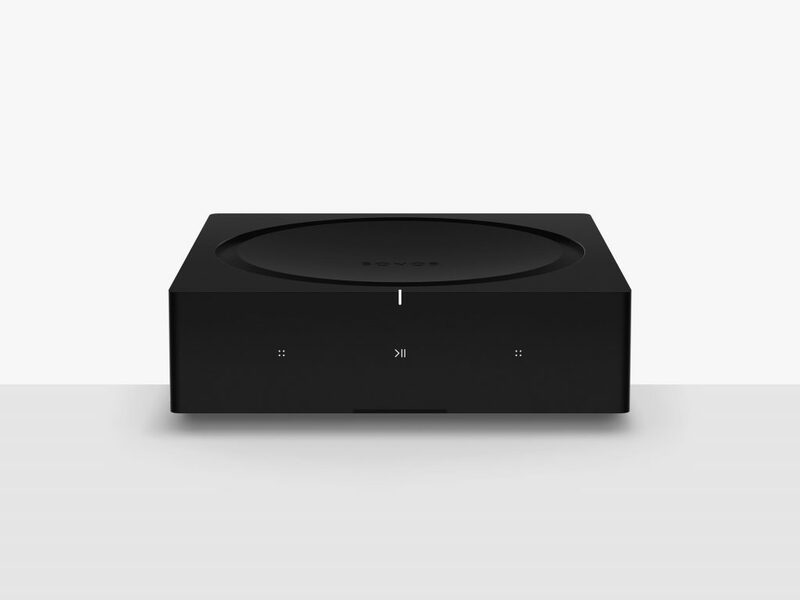 This enables TV audio to be sent wirelessly to any rooms you have Sonos speakers as well as the possibility to group all speakers together for party mode. It is also possible to “Sonos” the outdoor areas of your home too such as garden, patio or pool area to name a few. You can wire outdoor weatherproof speakers to a Sonos Amp too. We recommend the KEF Ventura 4s for smaller outdoor spaces and the Monitor Audio Vectas for larger ones. The grille is formed out of a powder-coated aluminium material which does not rust and resistant to the elements. They are also optimised to sound fantastic over any outdoor noise. 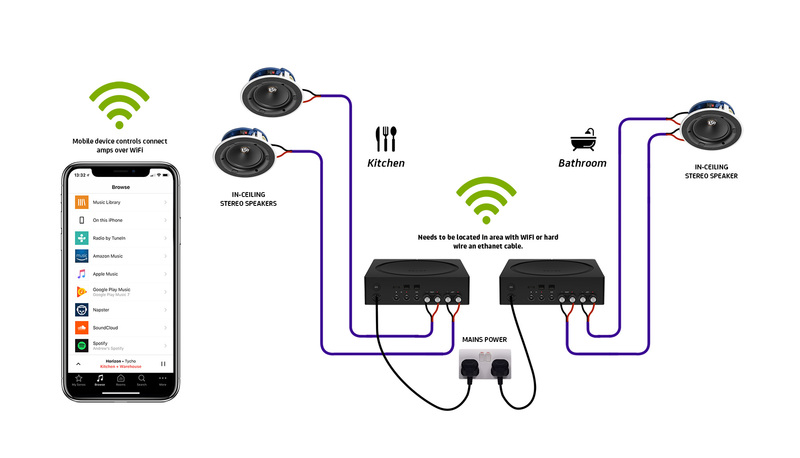 Outdoor speakers are wired in the same way as ceiling speakers with speaker cable back to a Sonos Amp. We appreciate there are many solutions for customers to fill their homes with audio. 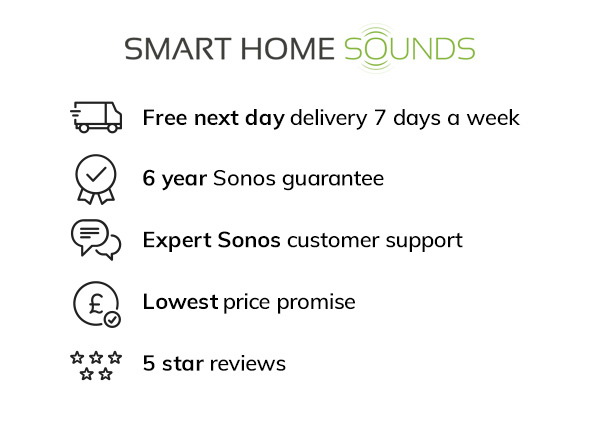 We hope all the above information demonstrates that Sonos does in fact, offer the most flexibility and versatility when choosing an audio solution for your home. If you would like any more information on any of the above, please don’t hesitate to get in touch with one of our specialists to help discuss your individual needs.